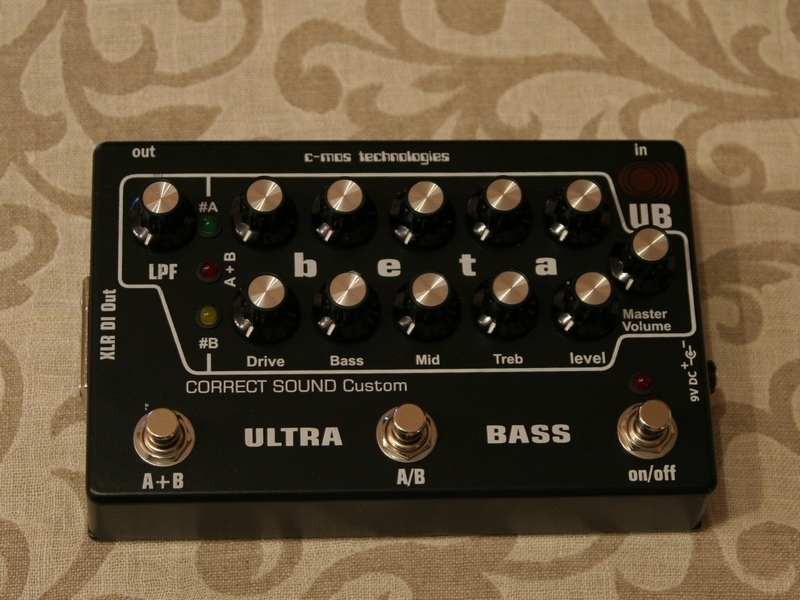 Beta UB - it is beta bass and Low Pass Filter 150Hz. Beta preamp works now with 9 V DC. We have delivered modification of power supply for our beta preamp. Now for its functioning you need stabilized power supply 9 V DC 500mA or higher. 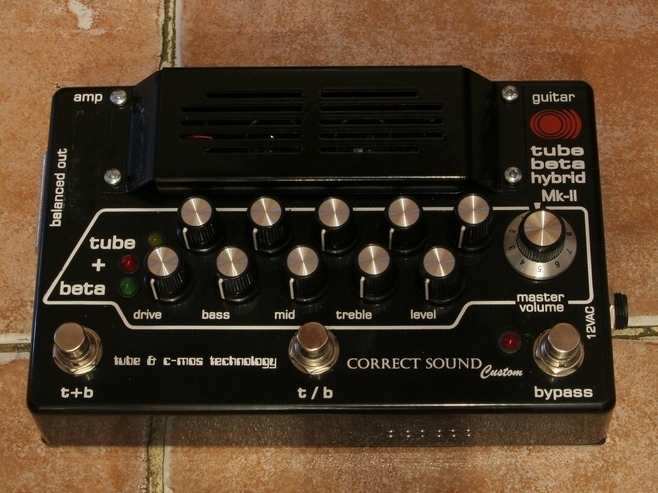 Completed development and manufacture of tube beta hybrid Mk-II Ultra Bass preamp for Marcin Tusinski. His idea was to add into tube beta hybrid Mk II a low pass filter +20dB cut freq 150 Hz and booster +15 dB at frequency 250...350 Hz in tube channel before section of saturation. Tube preamp with stone warmer in a compact body. 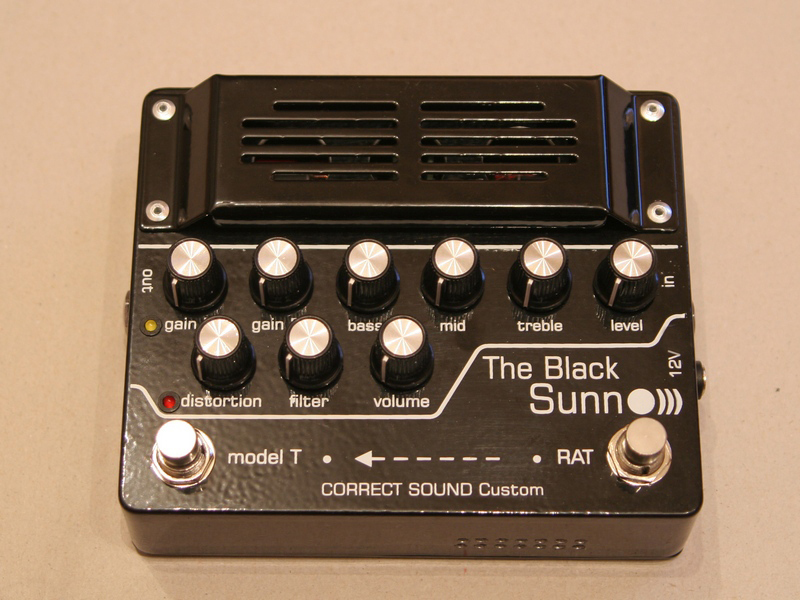 Having combined our MT tube preamp with a stone warmer we get The Black Sunn preamp. Our new pedal has two channels. One of them is a stone channel which is built on the base of RAT Distortion pedal. In the depths of our technical laboratory is cooking a new version of two channels preamp TUBE BETA HYBRID Mk-II. This preamp will have the same channels (tube sunn model-T и beta (lead or bass). 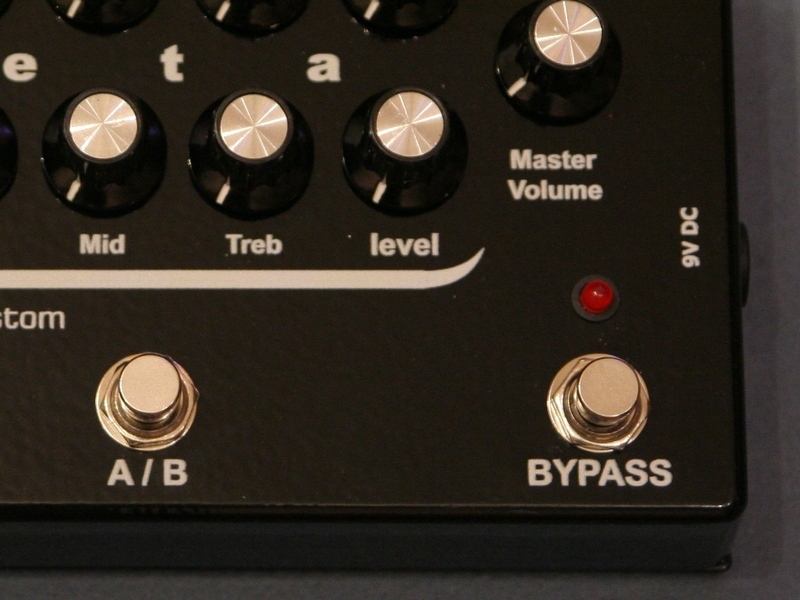 But in difference with the first version of the pedal, the channels will be switched not successively but in parallel as our preamp beta bass. Producer and musician Stephen O Malley famouse for his work with groups Sunn O))), Ginnungagap, KTL, and Æthenor has orders us design and production of foot guitar preamp. 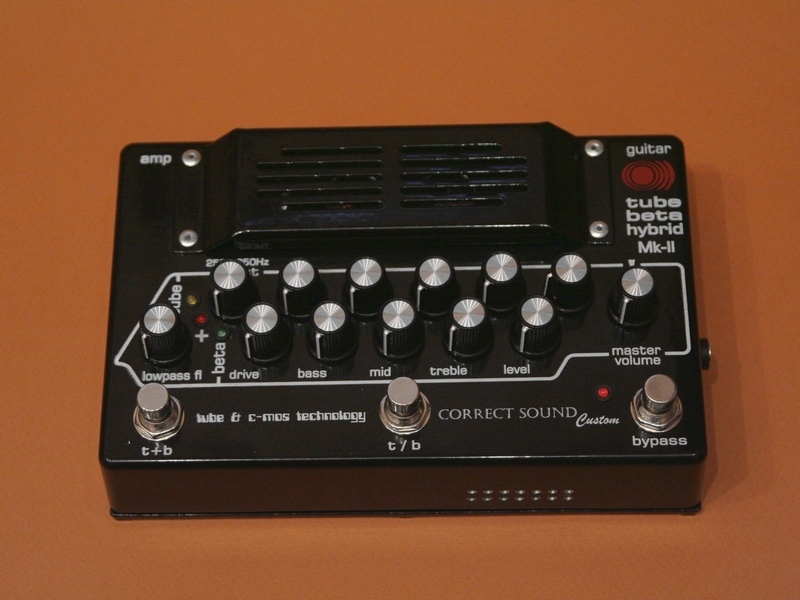 It will be a hybrid pedal in a compact box size 187mm x 120mm x 38mm with two channels: tube and "stone". The base of the tube channel is scheme of the preamp Sunn Model-T (1973) on two 12ax7EH tubes. We produce preamps and effect pedals for guitarists including bass guitarists. We design pedals on request of our friends - musicians helping them to realize their ideas expanding range forsearch of a new sound of instruments.